*Do not include a sentence or questions. *Check out the article sidebars for related resources. *Can't find what you are looking for? Try another search term. Google your term to find other words that mean the same. * Try Science in Context Topic Finder to gather additional keywords. To access peer reviewed articles, conduct a search. 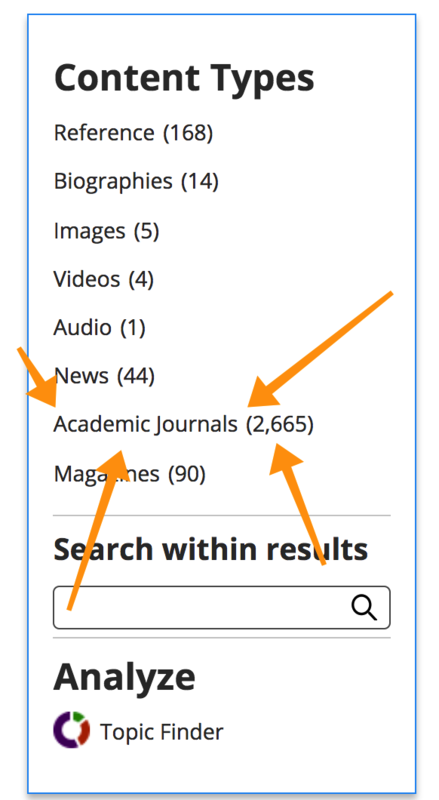 In the right sidebar, check Academic Journals. The page will refresh with only peer reviewed journals.